A soft simple ATC, using cream, crumb cake,chocolate, tattered rose. 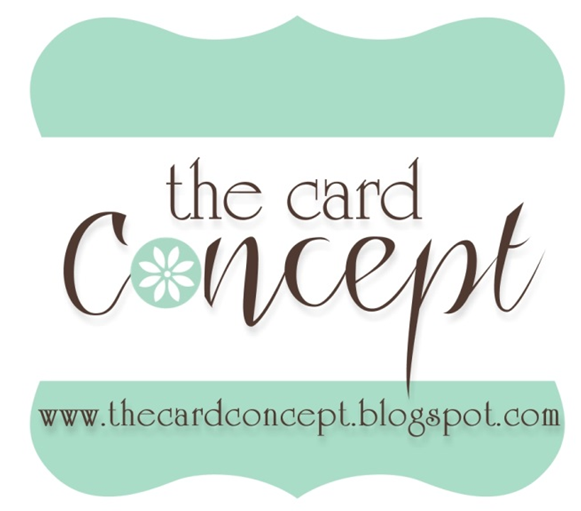 Supplies: ATC, Papers: Stampin Up-Chocolate Chip, Very Vanilla, Stamp: Stampin Up-Elements of Style, Ink: Ranger Archival Ink-Coffee, Stampin Up-Crumb Cake, Distress Ink-Tattered Rose, VersaMark, Stampin Up clear embossing powder, Stampin Up dimensionals. Such a pretty card! I love the way you popped the bird out of the page! Thanks for playing the blogger's challenge! Beautiful! 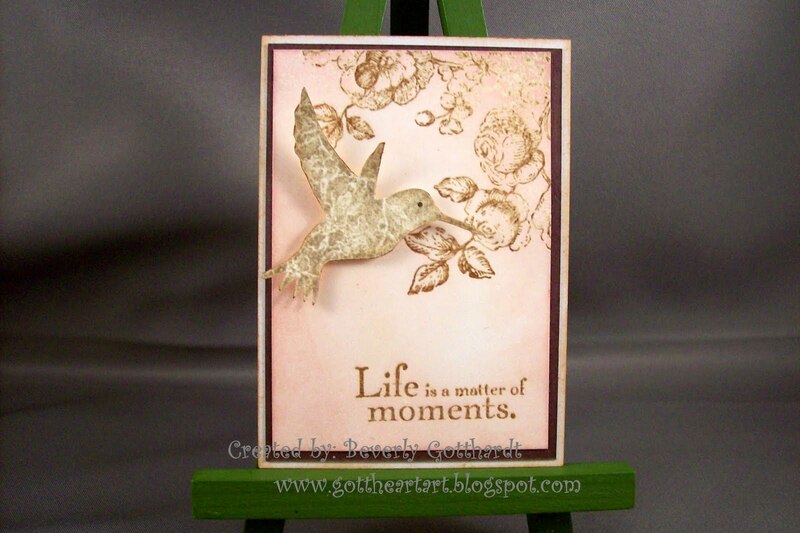 Love the soft colors and the popped up bird! Thanks for playing along with the Bloggers Challenge! this is just beautiful - a perfect ATC! Thanks for playing along at OCC this week! 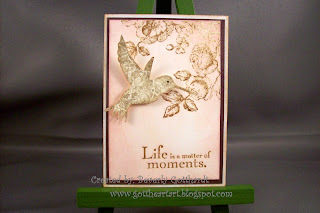 Such a pretty 3 d card and the saying goes perfectly with the hummingbird's flight! Thank you so much for using the colour challenge AND making an ATC! Many people only did one or the other! And it is really very pretty, I love the bird with the swirls inside! Thanks for playing my challenge at the OCC this week. It is so soft. Love the hummingbird...great ATC! Beautiful card and I do love those delicate colors! I have only used that set once, but really love it! Love your card and the only bird that can fly backwards (smile). Beautiful Hummingbird. I like the simplicity of this and the neutral color combination. Nicely done. There is such elegance to this. Beautiful. gorgeous, it looks so natural with the colors you chose. Beautiful! So pretty and serene. Love the soft feel this has. Very pretty. Is so spring like too. I love the message on this card... so beautiful. Another one of my favorite sets -- you've used this beautifully and quite elegantly! Just dropping by today to congratulate you! Your beautiful ATC won Top Talent at Our Creative Corner. 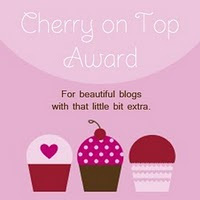 Be sure to stop by and read the post and pick up your award! This is lovely-0-and you got to use it on two challenges--good for you!